LEAGUE: Central Queensland Capras coach David Faiumu was impressed with how his juniors performed in the first match of the season. But he admits the side has a lot of work to do before the start of the Intrust Super Cup season. 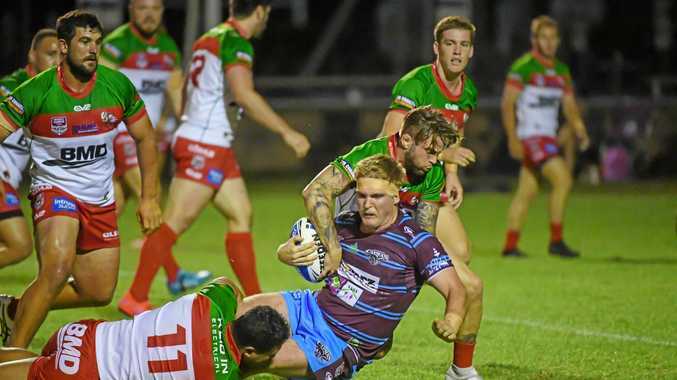 The Capras started the year with a 34-32 win over the Wynnum Manly Seagulls at The Waves Sports Ground in Bundaberg. The outfit came back from a sluggish start to win an enthralling contest that typified a trial. 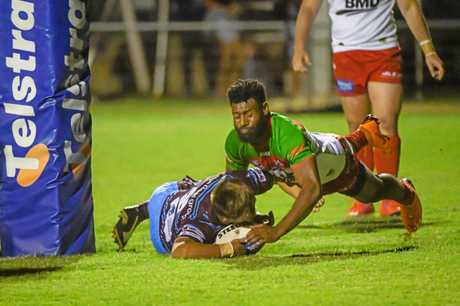 The Brisbane-based Seagulls raced to a 14-0 lead at the quarter-time break before the Capras responded before half-time with four of the next five tries to lead 22-18 at the main break. The Seagulls responded with the next three tries to lead 32-22 before the Capras scored the final two tries of the game to win. Capras winger Luke George scored the match winner and got a hat-trick on the night. "It was a quite pleasing night," Faiumu said. "Being down 14-0 it was good to see the boys bounce back from that. "I don't think we are too far off the mark for round one." But Faiumu was critical of the team's start and the performance after half-time. "We need to be better in awareness and concentration," he said. "You can't turn up in the first 10-15 minutes and have the mind back in the bus, we won't win too many games with that. "Our discipline also let us down and we need to be better in defence after conceding penalties." Faiumu was pleased with how the juniors stood up under the pressure. Those players were left on the field during the comeback with Faiumu confident some of them will play vital roles in the regular season this year. "Jack White, Elijah Anderson and Sione Veukiso have never played at cup level but did well on Saturday night," Faiumu said. "Falcon Peni and Ryan Jefferey also impressed. "I thought they all stepped up to play their role. "It's pleasing from my point as there will be injuries through the year and I'll be calling on those youngsters to play." The Capras will play one more trial against Mackay next week before starting the Intrust Super Cup season against Souths Logan on March 10.